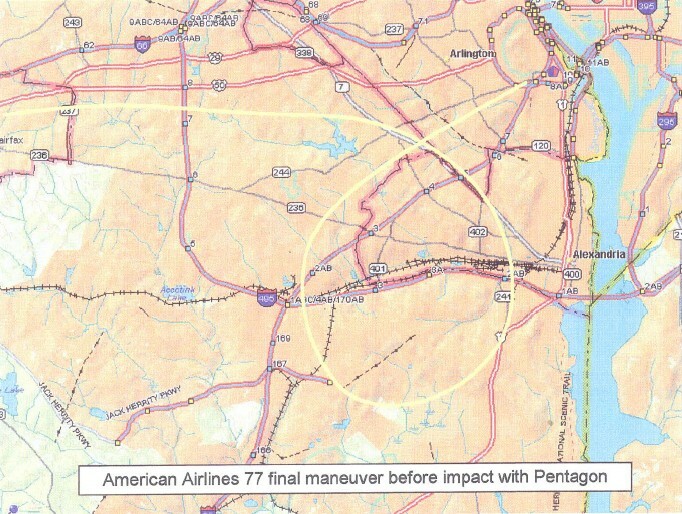 Why did Flight 77 make a complicated 330-degree turn around the Pentagon, before hitting it in an area that had recently been reinforced? This looks suspiciously like an effort to reduce casualties, or perhaps protect Donald Rumsfeld, whose office was on the other side of the building. August 2006 saw the NTSB release details about Flight 77 and its flight path, perhaps allowing us to make more sense of this. Here’s the map. 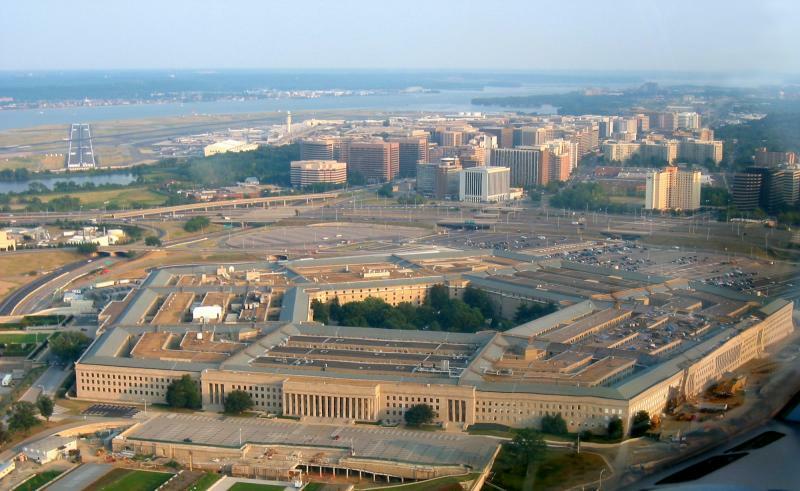 The turn occurred before Flight 77 reached the Pentagon. The pilot didn’t fly around it, in an apparent effort to hit a particular area: he simply aimed for the side he was approaching. 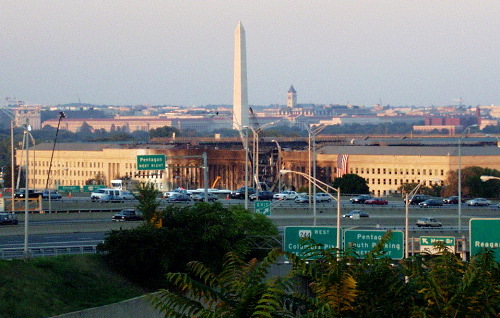 To hit another wedge would have required an extra turn, and perhaps some thought to avoid tall buildings, planes landing at the airport near the Pentagon, and other obstacles (the wedge hit on 9/11 is the rightmost visible side in this picture). Why make the turn, though? Might the pilot have realised he was too high? Perhaps so, as the document also tells us that Flight 77 was as high as 8,000 feet around the beginning of the turn, and 2,000 feet by the end of it. Being forced to make such a manoeuvre is perhaps further confirmation of an inexperienced pilot. (And if you believe that an inexperienced pilot couldn’t make such a turn, then you might care to read “Another expert!”, a 911myths.com contribution from experienced pilot Giulio Bernacchia). Once the turn had been completed, the pilot may then have been able to use landmarks to assist in the final approach. We’re currently looking for photographs that might help with that, but one obvious candidate is the position of the Washington Monument. Whatever the truth of that, there’s no sign here of any special effort being made to hit one particular area of the Pentagon. The pilot seems only to have hit the first wedge he saw..